Youth for change - Stowarzyszenie Młodzieżowych Inicjatyw Twórczych "CREATOR"
"Youth for change" is a documentary about active citizenship, youth participation and activism to increase awareness of the contributions youth are making to change their societies for the better. The idea of the project is to focus is on unemployed youth in Denmark, Italy, and Poland who actively contribute to society and give voice and images to their stories. We want to challenge the stigmatised stereotype of unemployed youth as ”inactive”, and show that they are "socially" and "politically" active as citizens in different ways. For this we will visit the tree countries and film activities and interviews with youth in their local communities. 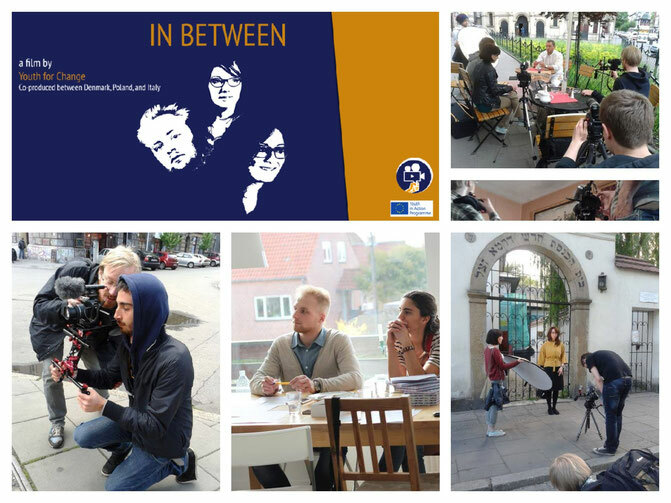 In March the project starts with local meetings in Copenhagen (Denmark), Kraków (Poland), Lecce (Italy) in which partners will discuss and decide on the themes and concept of the documentary. In April representatives from three countries (Denmark, Italy, and Poland) will meet in Copenhagen to write the script for the documentary during the Advance Planning Visit. From May the group will visit the tree countries and film the activities of youth in their local communities, interview them, and other community members on the themes of active citizenship, youth participation, and activism. In July and August we will also edit the film. In September the documentary will be disseminated through various media. After the editing there will be screenings and participation at documentary festivals. More informations soon! Keep updated!